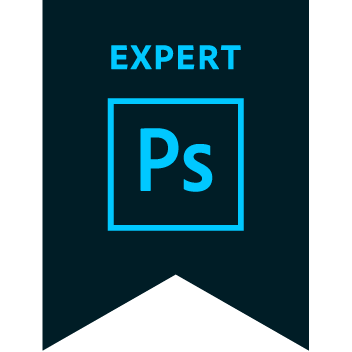 The Adobe Certified Expert (ACE) certification is the industry-recognized validation of one's skill in Adobe Photoshop CS6. This certification requires in-depth knowledge of digital asset management, production, and execution of projects, as well as an understanding of Adobe Photoshop, Adobe Lightroom, Adobe Camera Raw, and Adobe Bridge. This badge is no longer actively being issued, but it is still a valid certification.